These ties are characterized by their precious material texture. Almost 40 work steps are required to produce a tie. During the cutting process, care is taken to ensure the pattern and the strip pattern. Only a single square cloth of silk is used. The silk scarf is folded sevenfold (7phiege) and then tacked by hand on the back. 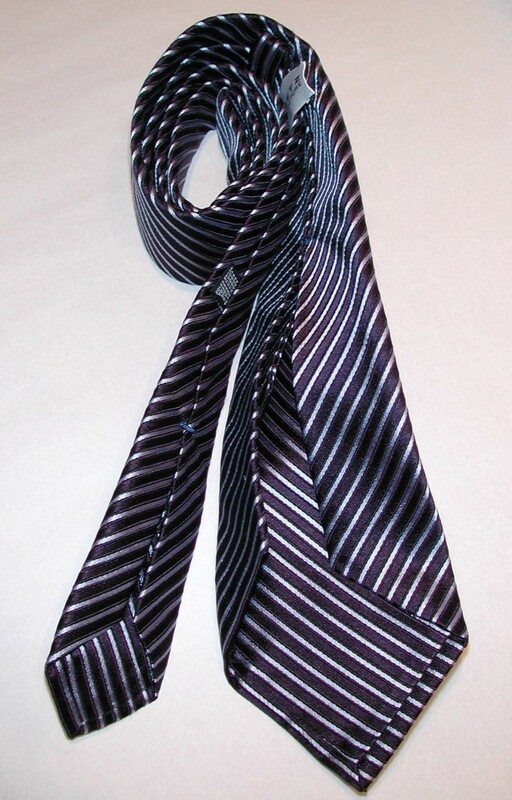 Because of the 45 degree cut to the longitudinal line, the necktie gets its elasticity and thus has a perfect binding property as well as a long durability.